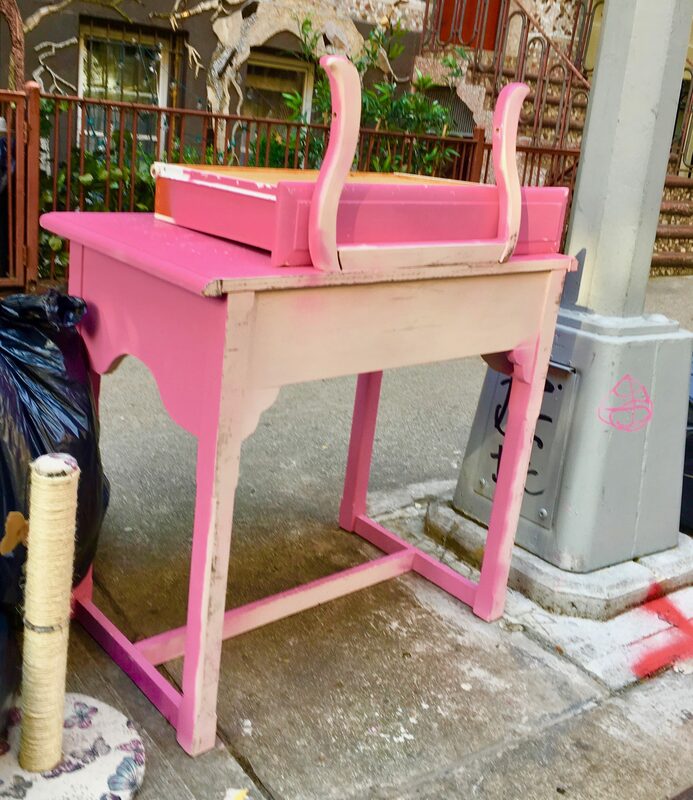 The only reason I happened to walk by this dismantled Pink Desk, abandoned at the curb of an East Village side street waiting to be carried off to the landfill, is that it was a public holiday and I had an appointment with a plate of Perogi at Veselka. 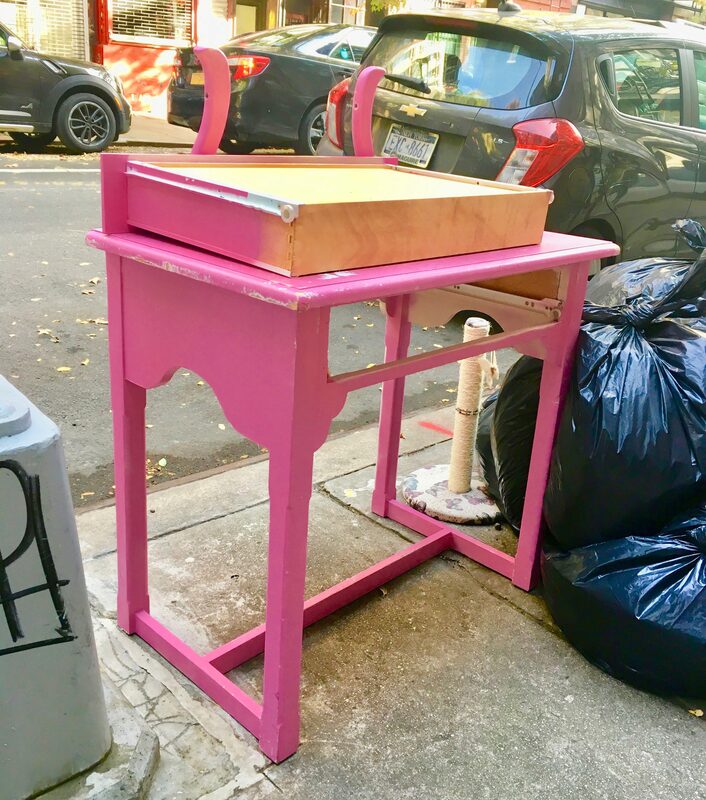 If you look closely, you’ll see a pair of horn-shaped protuberances peaking out from behind the drawer, which has been pulled out and laid on the desk surface, and you can extrapolate that this was once a young girl’s Vanity table that is now missing its mirror. I bet it was well-loved by its previous owner. Maybe, after I went on my way, someone picked it up and took it home to make a few repairs and give it a new life. One man’s trash is another man’s treasure.